Simon gets a lap dance… from David! For the first time in Britain’s Got Talent history Simon Cowell will join a contestant on stage tonight. The first episode in the new series includes plenty of outrageous and jaw dropping acts but there’s one in particular which will cause the most laughs. Viewers will be be able to see Simon Cowell receiving a lap dance from David Walliams and one of the contestants. 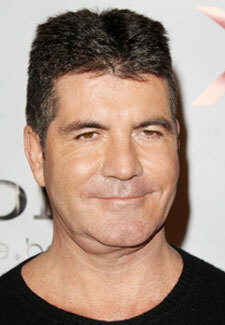 During the show Simon, 53, is dragged up on stage by David, 41, after watching a hopeful perform a raunchy dance. A rather uncomfortable looking Mr Cowell is then forced to sit in a chair while the two writhe around him. Britain’s Got Talent starts tonight on ITV at 7pm. For more BGT gossip click here.